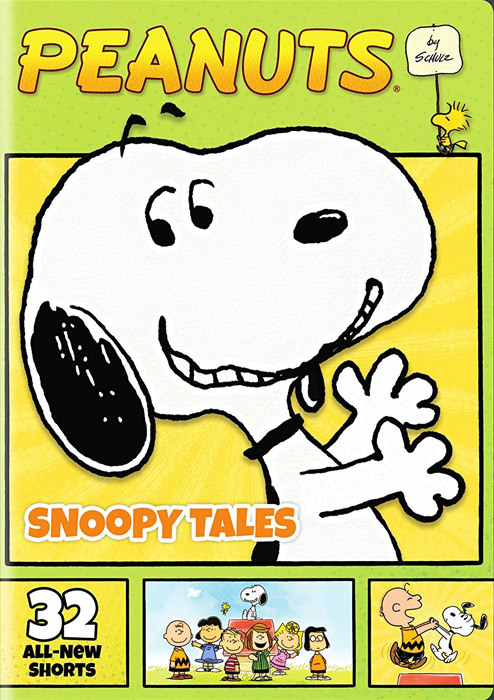 Peanuts By Schulz: Snoopy Tales, a new 2-disc DVD set containing 32 of the new Peanuts shorts that aired on the cable channel Boomerang, is now available from Warner Home Video. Peanuts By Schulz: Snoopy Tales is released on January 24, 2017, and has a suggested retail price of $18.94. A second DVD set titled Peanuts by Schulz: Go Team Go!, featuring 19 more of the shorts, is due out April 25.